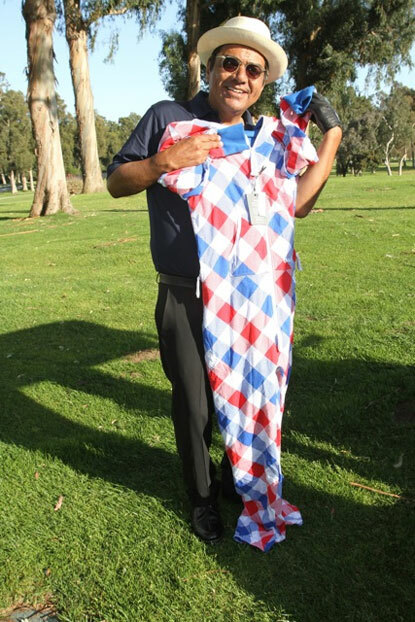 American actor and talkshow host, George Lopez (left), welcomes OnePiece into his celebrity golf classic to benefit the Lopez Foundation at the Riviera Country Club in the Pacific Palisades. Featuring in the Week’s Hottest Pictures in HollywoodLife and Radar Online, our wonderful Reversible OnePiece was a favourite of both Dave Annable (above right, currently playing the character of Justin Walker on the television series Brothers & Sisters) and George Lopez himself. It’s simple to get hold of a OnePiece of your own… just visit the online store – we ship around the world.